Mercedes intends to fully enter the game of “half way there” sports cars recently. Audi has been there from the 90’s, in fact, letter S was first to emerge before RS saw the light of the day, while BMW and Merc failed to address the middle path, offering just full-blown M and AMG badges for many years. Times have changed and from 2012 Munich generously offers M Performance treatment, while twin-turbo 3.0-liter V6 accompanied by weaker AMG 43 moniker found its spot under many hoods in Stuttgart lineup. In fact, only highest echelons (S-Class, CLS-Class, GLS-Class, G-Class, SL-Class) and lowest ones (A-Class, CLA-Class, GLA-Class) doesn’t include this diluted AMG treatment, but that is also going to change for later ones since 2018 Mercedes-Benz AMG A40 is about to debut. Maybe even during this year. 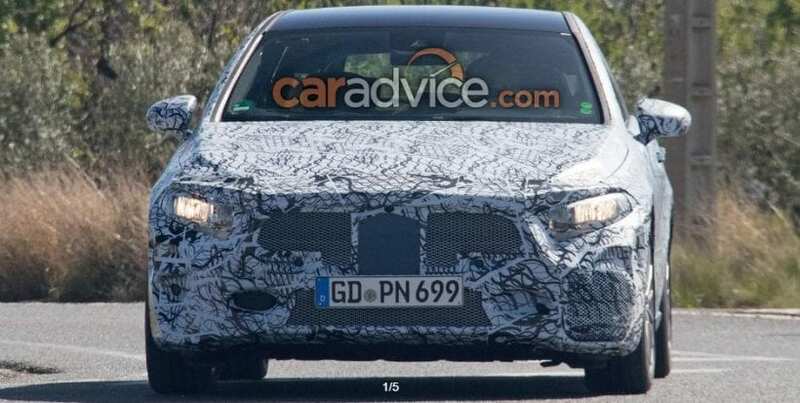 2018 Mercedes-Benz AMG A40 WHAT DOES IT MEAN? It means that Mercedes is about to offer a direct competitor for Audi S3 and BMW M140i. If you thought that it should carry AMG 43 moniker, you thought wrong, since that label is attached for mentioned biturbo V6, at least for now. Let the title AMG 40 remind you of the future tamer version of AMG 45 and it’s overachieving 2.0-liter I4 with one turbo, but a twin-scroll one. 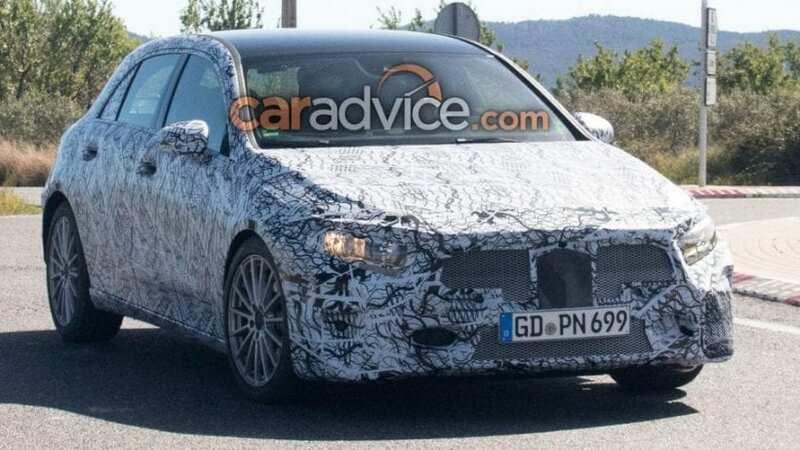 That same title is soon going to decorate probably all models hiding upcoming MFA2 platform underneath, which besides A-Class hatch and future sedan, includes CLA, GLA and who knows maybe even brand new GLB. Nobody knows precisely, but it is not too hard to guess. In this particular moment Audi S3 is rated at 310 hp, BMW M140i delivers 340 hp, while easing the belt on Merc’s over-boosted turbo I4 could result in letting go of some power, but definitely not below Beemer’s current line. That would mean at least 340 hp, and if we know Mercedes by heart, it should probably be at least 10 hp more, just for the sake of psychological impact. That could propel new “warm” hatch to 60 mph, together with existing 7-speed dual clutch automatic, in around 4.5 seconds or one tenth faster than BMW and many tenths from Audi, while also just a few tenths slower than current “hot” one. You may exclaim that those Benz’s own figures are very close to each other, but don’t forget that new RS3 touched the magical 400 hp boundary, so new AMG 45 is definitely going for that figure, if not above. Probably will top it. New A-Class should debut with fresh styling, which is about to renounce some of the current funkiness in respect of better practicality. Let’s just hope that trade-off is going to be well executed. 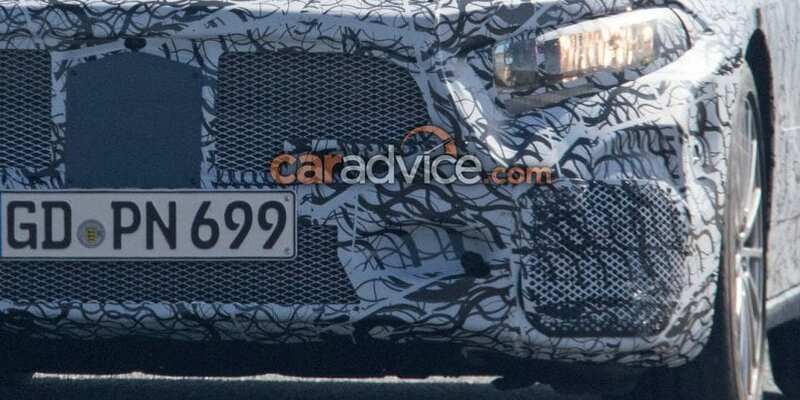 On heavily camouflaged test mules we could see the slightly more geometrical shape and those slimmer and sharper headlights from A Sedan Concept. 2018 Mercedes-Benz AMG A40 should bring spicier styling but still restrained when compared to pure blooded 45 version which will always have dibs on insanity. As a result, lesser hot hatch should have a more alluring price. M140i starts in the UK at ₤32k ($41.3k), S3 at ₤33.5k ($43.2k), so if AMG A40 follows the recipe it could mean around whole ten grand less from ₤42k ($54.2k) needed for 45 lettering. And that price is not just about the traditional premium domestic rivalry. It overrides by just a few grand “wild” mainstream offer as Focus RS, Golf R, Subaru WRX STI and similar, while keeping premium label and providing more power. Something for you to think about until it arrives.